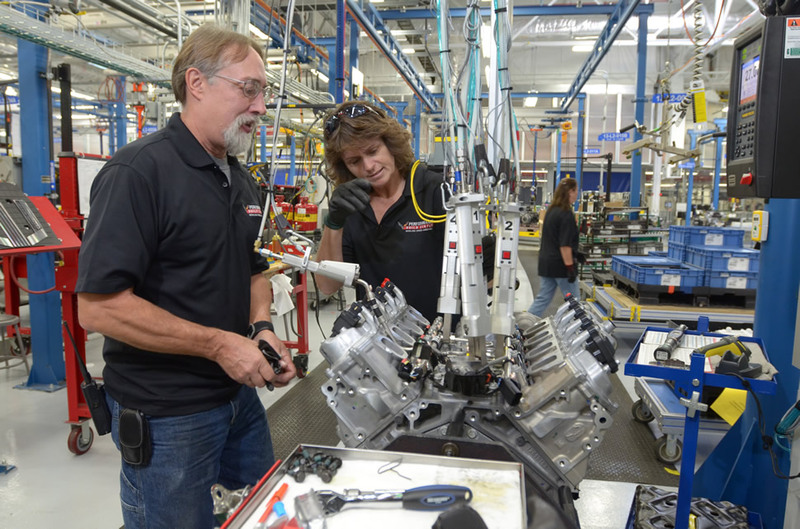 The expansion of the Performance Build Center is fueled by the success of the Corvette Z06, which currently accounts for nearly a third of all Corvettes produced at Bowling Green Assembly. The Performance Build Center also offers a one-of-a-kind experience for customers – the Build Your Own Engine program. This program allows customers to assemble the 650-hp supercharged LT4 engine for their cars. The $5,000 option package includes a full day with a Performance Build Center engine assembly technician who instructs and oversees the build, a personalized engine plaque identifying the customer and professional photography. Construction took place in 2013 and early 2014, with engine production beginning in the second quarter of 2014. The Performance Build Center produces the 2016 LT4 6.2L V-8 for the Chevrolet Corvette Z06. GM has added 316 new jobs and invested a total of $617.5 million over the last four years at Bowling Green.